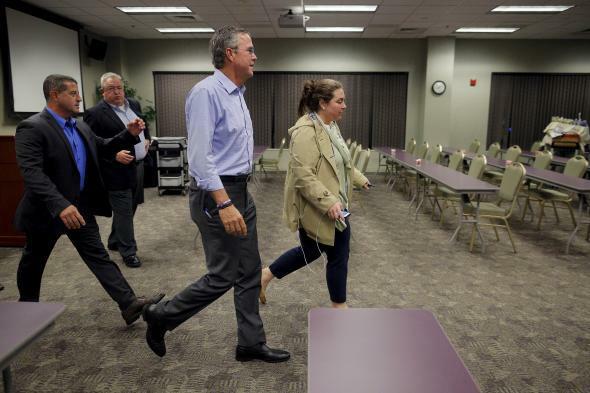 "Stuff happens," Jeb Bush says of Oregon shooting (VIDEO). Jeb Bush in Bedford, New Hampshire, on Sept. 30, 2015. In Greenville, South Carolina, Jeb Bush, arguing against calls for gun control after major tragedy, says, "stuff happens." President Obama was asked about Bush’s remarks at a press conference. “I don’t even think I have to react to that one,” he said.